2018 has been a big year for shiny new technology in digital marketing, so when #DMWF North America rolls into New York next month, don’t be surprised to hear speakers hash-out their views on the topic more than once. From chatbots to VR (virtual reality), and voice search to AI (artificial intelligence), marketers are pooling budgets towards the latest, breakthrough trends, but are they really change-making trends, or are they, somewhat, the flavour of the month? In a panel devoted to this very debate, senior director of marketing at SVS, Keenan Davis, will join HSBC Bank USA’s head of innovation, Jeremy Balkin, for a bout of future-gazing over the disruptive potential of these new tools within the industry. With over two decades’ experience in online marketing, Keenan has watched the market transform throughout his career giving him a unique perspective on the evolutionary potential of new technology. Ahead of his #DMWF appearance, we caught up to catch his views. Hi Keenan, let’s just start with a quick intro to yourself, background in marketing, and role at SVS? 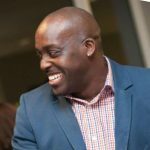 Keenan Davis: I’m a career-long marketer having started my career with the launch of my own internet marketing and web design firm in 1998 focused on small to medium-sized businesses that we’re trying to reach people of colour digitally. After running my company for nine years, I moved on to be the head of marketing and operation for the online store of The New York Times and then the director of digital marketing and media for Turtle Beach, a video gaming headset manufacturer before finally landing at my current role as senior director of marketing for SVS overseeing all marketing initiatives across digital, print, radio, trade show and in-store event channels for the last three years. 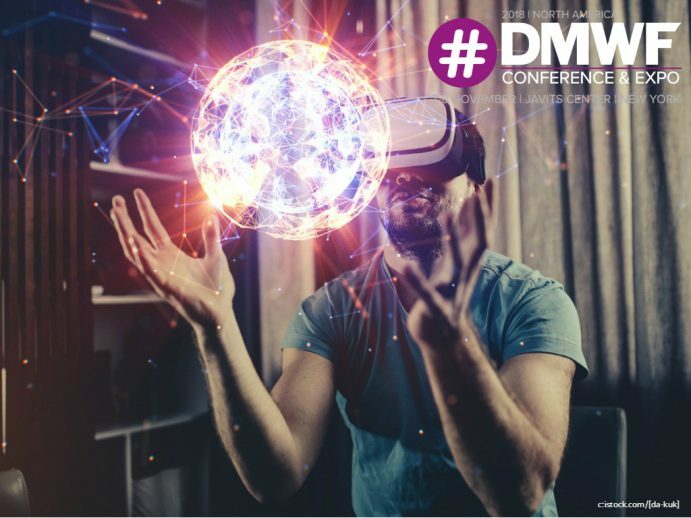 You’re joining a panel at #DMWF North America on ‘disruptive technologies’. What kind of role do these play in your marketing at SVS? KD: At SVS, we’re using a lot of the last wave of disruptive tactics that emerged in digital marketing over the last several years such as retargeting, prospecting and lookalike audiences with much success to the tune of double-digit return on ad spend. Some of the newer disruptive tactics such as AI [artificial intelligence] and chatbots are something that we’re already looking at. We’ve been exploring using AI to take over manual management we’re doing now, and having individual consulting companies that assist us with paid search optimisation, display ad buying and retargeting. We’re supplementing our chat for help interface with chatbots at the top of the funnel to help guide people to some answers on some of the more commonly asked questions as well. Do you think technologies such as virtual assistants, chatbots, AI, VR and AR [augmented reality], have real potential to really improve customer experience? Is there an element of the fad among them? KD: I think all of these will have a place in the future of business but not all will dominate customer experience. I can clearly see the longevity of virtual assistants, chatbots and AI in customer experience. VR and AR seem more like a nice to have, more so than something that will truly enhance the customer experience. The first three all have an opportunity to learn from multitudes of data and trends from the same types of questions being asked over and over and truly understanding the intent behind the question and give the appropriate response. I feel unless VR evolves, somehow they will just be a pretty ‘wrapper’ on the way the responses are given or displayed. I don’t think they’ll be fads as there are other applications for them unless society really ‘needs’ to have interactions in an environment that resembles talking to someone in real life. Are there any particular examples of these kinds of technologies being used by brands that have really impressed you? KD: Microsoft and Sony and many of the video game companies that make games so realistic using VR that the immersion experience is unlike anything we’ve seen historically. Gamers literally feel as though they’re inside the sporting arena, the out-of-world experience, or the foreign country the video game background is set in. Some of the stuff they’re recreating is astonishing. Which technologies do you see emerging into the mainstream of digital marketing? KD: AI is leading the charge into digital marketing and its applications are being seen most effectively in replacing the advertising buys that have traditionally been done manually. AI can leverage the millions of impressions and clicks over time to adjust your campaign by creative, ad size, dayparting and most important, website and ad network to garner the best CTR [click-through rate] and ultimately conversions. How can marketers take steps to start employing these technologies, and what considerations should they take before doing so? KD: There are several companies out there already pitching all these services to B2C and B2B companies that we all work at. One little thing I do is try to be a tad more open to all the unsolicited emails and phone calls that I get from pitching “the next big thing” and have them analyse my business and “sell” me on how these disruptive technologies can work well within my specific business. They’ll do a lot of the macro thinking for you which should spark some ideas, as only you know the nuances of your business to gauge if there truly is a fit or not. Finally, are there any sessions, speakers, brands or otherwise you’re really looking forward to seeing at #DMWF? KD: There’s a couple of sessions on data and how to better use it to drive marketing decisions that I’m looking forward to seeing. In a world where more and more data is at our fingertips, the opportunity to use that data to drive business decisions is not only smart, it’s crucial to distance yourself from the competition. Find out more about Digital Marketing World Forum (#DMWF) North America here.